*Note: Sat 11am-1pm is Munchkin Madness: This time is reserved for younger ages 12 and under. See Specials tab for more details. Looking for an event during the weekday? No problem! Call us for more information. First jump sesson 30 mins. after opening. Safety video viewing required. Jump socks included in price. 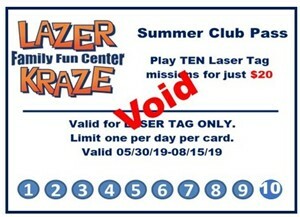 Bring your clean, gently used Lazer Kraze socks for $1 off. 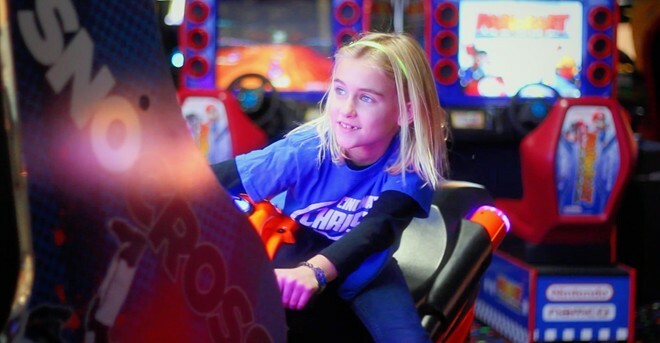 Located on N. Hamilton Rd behind Autozone .9 miles north of Morse Road, this location combines the exhilarating competition of World Class Laser Tag with the intense physical fun of the Indoor Trampoline Park , the exciting new Cyber Sport, huge Arcade with redemption and video games, and a snack bar with domestic and microbrew beer and fresh made pizzas. July 16-18th will be pumped full of fun for your favorite kid! 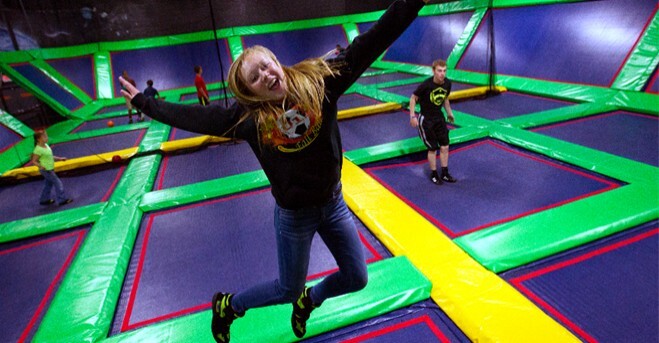 Camp activities include mega amounts of world-class laser tag, Jumping and air dodgeball on the trampoline, arcade games, pizza and pop lunch, and other camp activities designed to build leadership and teamwork skills. 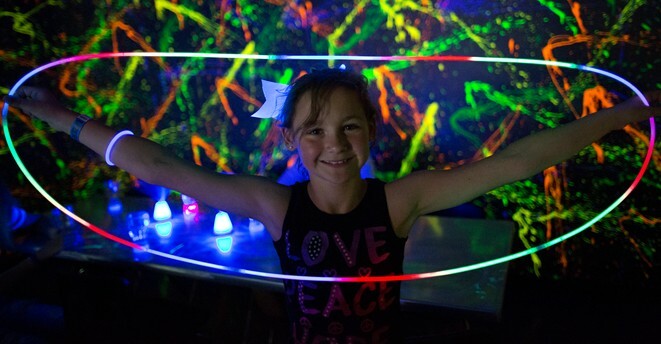 Register in advance by July 9th and pay just $119 per child. Lewis Center camp is July 23-25th. 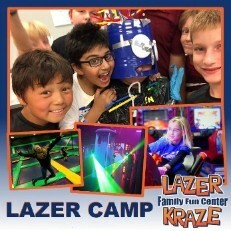 Bring your group to Lazer Kraze for an easy, out of this World Fundraiser! See all the details here Fundraisers . 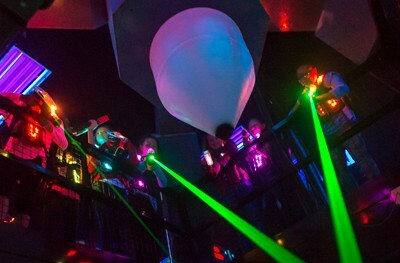 Whether you're looking for serious teambuilding or just to blow off some steam, Lazer Kraze will design an event perfect for your group. Come in after work in the evening after work or during the day time for a private event, we'll find something that works perfectly for your group. 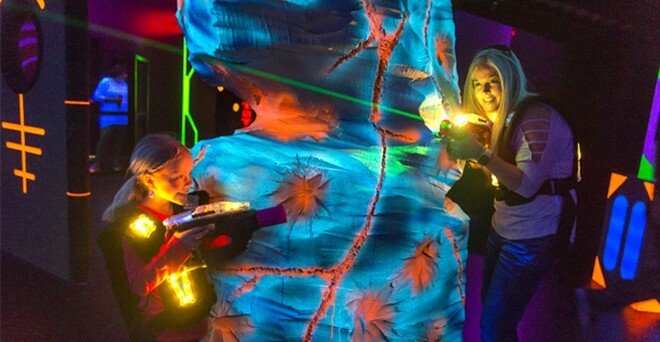 After your intense laser tag battle, a workout on the trampoline or a Cyber Sport match you can now enjoy a cold beer. Choose from domestic and micro brews. 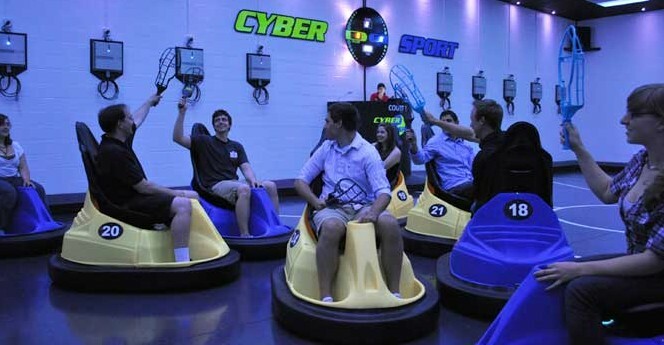 Cyber Sport is a blast for you corporate group, family or group of friends. This is a fast action game played on your cyber carts, where teams compete to score goals in the opposing teams goal. 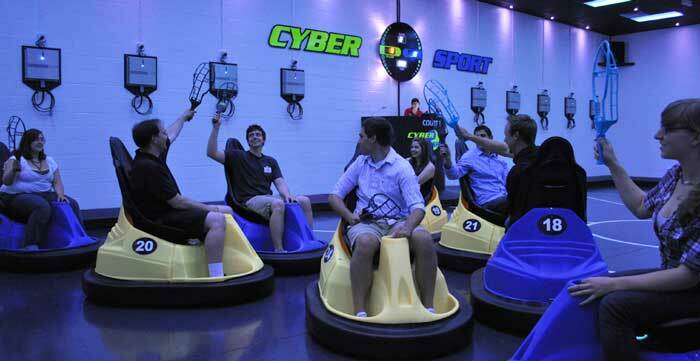 It's a cross between basketball and lacrosse played on your cyber cart.